The Fayetteville Outer Loop is a project that will create a 39-mile link between I-95 to 401/Ramsey Street. This project may have started in the late 1980’s however the first phase of the project which connected I-95 to Ramsey Street did not open until as late as 2005. The cost of this first connection was $146 million. 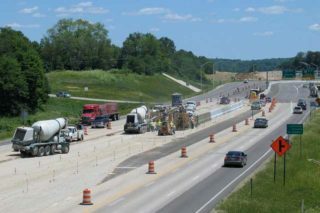 The Fayetteville Outer Loop project is scheduled to be completed by 2025. What are the Benefits of Completing the Fayetteville Loop? The completed project should provide relief to the congested area and provide alternate routes for traffic. What will be some of the Fayetteville Outer Loop Connections? The completed Fayetteville Outer Loop will connect major sections of Fayetteville, allowing for traffic to pass unimpeded. Did You Know Your Property Can be Acquired to Complete the Project? The government has the right to take over your private property for public use. This procedure is called Eminent Domain or Land Condemnation. With the land the government acquired from you, the government can build schools, parks, and roads such as the Fayetteville Outer Loop. The government is required to provide the property owner with fair value. We understand what is considered fair value by the government may not be fair value to you. We are here to help. What to Do if Your Property is Impacted Due to the Fayetteville Outer Loop Project? If your home or business happens to be in the construction area it is possible that you will be contacted by NCDOT regarding using your property for their project. Fortunately, you are not alone. An eminent domain or land condemnation attorney will help give you a piece of mind and get a fair value on your terms for your property. Don’t miss out on experienced legal support for your case. 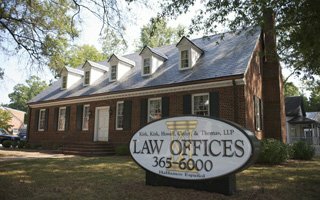 Simply fill out the short form below or call (919) 615-2473 today and let the attorneys of Kirk, Kirk, Howell, Cutler and Thomas, LLP help you.